I hate it. Ridonculous I say. How can it be confused with the old Avengers and we’ll never call it that. I assume DVD release will revert to The Avengers? This must be a scam. Fan made poster looks like – a fan with awful awful photoshop skills. Seem to have got Cap mixed up with fellow avenger Hank Pym aka Giant Man. I don’t like it either. Everything else up to now has been The Avengers and suddenly they assume the markets outside of the geeks won’t pick up on the difference. Did they think audiences believed Captain America was the prototype John Steed? No. Also, poster: throw as much in as possible and make poster BAM BOOM WOW…no. 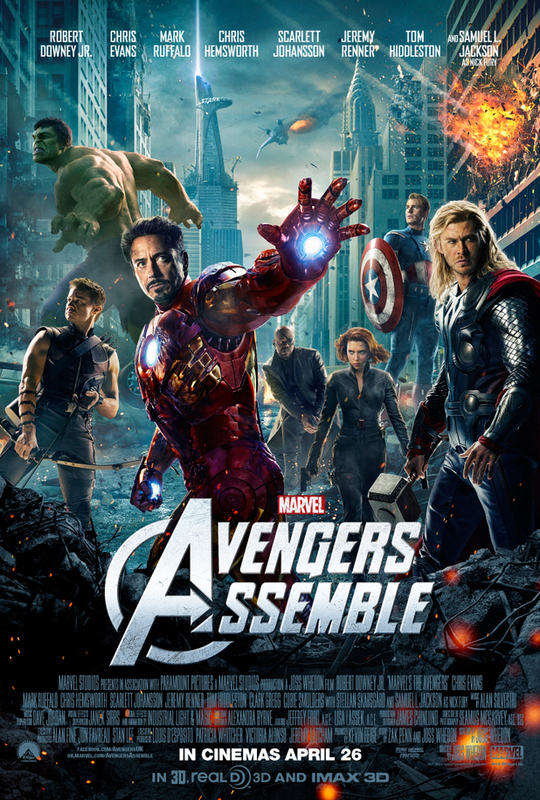 Avengers assemble but not for a poster. Not impressed. But I’ll still watch the film.